Yesterday’s Weekly Space Hangout had a report about a new nova that had suddenly appeared near the constellation Delphinus – I hadn’t heard about it before because I somehow missed the first great article on Universe Today and was really surprised when David Dickinson said that it would be at an easily viewable magnitude of somewhere between +4 and +5. Now, I have to admit that I am actually a very lousy amateur astronomer and until recently was always struggling to even recognize star constellations in the sky, but I have gotten steadily better at it. But my first reaction was to wonder if I would even be able to find the nova, let alone see it! While the Perseids were a near-complete failure this year for us, thanks to the star charts provided by Universe Today and some very basic detective work by myself which mainly consisted of locating the constellation Delphinus in the first place, I was actually able see the nova (which is just a nova, not a supernova) with my own eyes just with the aid of my trusty old 8×40 binoculars. The problem was that I would never have recognized it as the nova because it just looks like another star when you look at it through binoculars – only after some intense star chart checking I was absolutely sure I had really found it It’s a case of “one star too many” and if you are not really familiar with this portion of the sky you would never come to the idea that something appeared that wasn’t there before. So, this was my first nova sighting and I’m really happy I saw it, even if it was just another pinpoint of light. Perhaps I would even have managed to take a photo – if my camera can pick up the Andromeda Galaxy, a magnitude 4 nova should be no problem! But before I was able to set up the camera, the clouds came and for this reason, this article doesn’t have an image attached. I will try again tonight to at least see it, but for better images I recommend you go to the Universe Today article! Actually, our dreaded curse of the Perseid Meteor Shower was already broken last year, when we had some spectacular good luck and were able to see quite a few meteors. But is the lucky streak going to hold this year? We were already able to see a few isolated ones recently and hopefully the weather is going to cooperate on the nights of August 10 to 13 – but the forecast doesn’t look good for our location. The best chance to see the Perseids should be on the 12th, but it is also possible that meteors can be seen on the previous and following nights. If you want to know more about the Perseids, Universe Today has a really good Observer’s Guide written by David Dickinson and Fraser Cain has made a great short explainer video about meteors in general. In short, if you have a reasonably clear view of the sky to the east and northeast, you are all set to go! I hope that I can catch some this year since I’ve finally got a camera which can do really long exposure times – but I think we’re really out of luck if the weather keeps being so unstable. But still, fingers crossed! One year ago, shortly after the landing of the Curiosity Rover, I had put together a collection of useful links about the Mars missions, which I still frequently use. The reason for the list was to provide all the information without having to write constantly about the Mars missions myself, something which others are doing in a much better way. I’ve occasionally written articles about NASA and the Mars missions since then, but even one year later all these links are still valid and absolutely essential if you want to keep up with what’s going on on Mars. 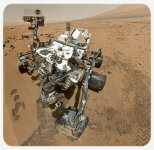 One Year on Mars – Happy Landing Anniversary, Curiosity! The Curiosity Rover has made it – this morning, the one-ton Mars truck performed a textbook landing on the red planet! After eight months and 567 million kilometers the new Mars rover arrived safely on the red planet in spite of the breakneck landing maneuver. Only a few minutes after landing the rover sent the first pictures back to earth – still in black-and-white and low resolution, but the landing site is already very well recognizable, if on the first glance unspectacular. But never forget that this is not some shoddy debris field on Earth, but the planet Mars! I am always glad that I am able to witness such events – it’s not my first Mars rover landing, but every time it gets more exciting and fascinating, especially because the technology has improves so much. Even in 1997 (that was fifteen years ago!) it was possible to follow the landing of Mars Pathfinder on television, but also on the web and it got only better with Spirit and Opportunity in 2004. By now, NASA has really learned how to make a great website and even NASA TV has been watchable over the web for some time in a decent resolution. But today the NASA is not the only news outlet reporting about their missions, sometimes others do it equally good and often better. The best example are the people from Universe Today, Bad Astronomy & Co, who organized a Virtual Landing Party in the shape of a Google+ Hangout, which is now viewable as a recording on Youtube. Only fifteen years ago this would have been complete science fiction, but now it has become reality – technology makes it possible! The next weeks, months and years are going to be very exciting Mars-wise – not only because of the many fascinating images, which are going to arrive very soon, but also because of the science. The chances that the Mars Science Laboratory is really going to find clues of water or even life are of course 50/50, but even the attempt is worth it! This was one year ago. In the meantime, the Curiosity Rover has found definitive signs that there was flowing water on Mars – it was even established that the rover has landed in a dried-out riverbed. No signs of life, present or past, have been found, but that’s not really what the rover laboratory has been equipped for – it looks for the conditions under which life could have been possible and these have actually been positively identified. Now half the time allocated for the prime mission is over, but the rover is still healthy and there is much to discover on Mars. Even if Curiosity has lost a bit of interest from the media, the mission is still utterly fascinating. To celebrate the landing anniversary, watch the Virtual Landing Party or yesterday’s Planetary Society Hangout, in which Emily Lakdawalla and Casey Dryer interviewed Curiosity deputy scientist Ashwin Vasavada. [Edit: two more hangouts to watch – Amy Shira Teitel, Scott Lewis, Jason Major and Ian O’Neill look back at Curiosity’s Landing and NASA’s and JPL’s celebration of the anniversary.] Also, my next posting will be an updated link collection to all things Mars. It’s been over eight months since the last major release, but now WordPress 3.6 has been released, which meant an update marathon for me – and I haven’t even checked out the new features like the media player! After each major upgrade, I have to redo a couple of small alterations in the code to make working with the built-in editor more comfortable. I had last described the changes in December in a German-language article, but this time I’m translating the updated tips into English. Visual Editor: The display font of the visual editor is still Times New Roman, but it can be changed in the CSS file wp-includes\js\tinymce\themes\advanced\skins\wp_theme\content.css by changing the font definition in the main .body tag from font: 13px/19px Georgia […] to another font like Verdana. Get Shortlink: The shortlink button next to the permalink line sometimes pops into the next line on smaller 1024x displays, but the button description can be changed into something less big. Search for the string “Get Shortlink” in the file /wp-admin/edit-form-advanced.php and just change it into something else. The button can, of course, also be completely removed by deactivating the Jetpack module WP.ME-Shortlinks, but this is of no use if the feature is needed and the button is still too big. Holy cow, that was a bit too much summer yesterday! 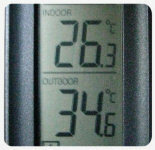 I can take a dry heat of 30°C, but the nearly 35°C were really exhausting – and that was not even the highest temperature here in NRW! Yes, I know that in other parts of the world it’s even hotter, but we northern Europeans are comparative softies when it comes to high temperatures. 30°C is really hot, everything more is extremely uncomfortable and sometimes even dangerous, because air conditioning is very uncommon around here and we are just not used to these high temperatures. But with only a bit of effort you can keep your flat reasonably cool as you can see, so I mostly kept inside yesterday. Today it’s about 8-9 degrees cooler than yesterday outside, so we can live again instead of just suffer along. So, I survived the hottest day of 2013 (yet? ), but all I got was a sweaty t-shirt! Maybe I’m babbling here, but yesterdays heat didn’t melt my brain completely thanks to the cooler indoor temperatures. I even got a little bit productive in the writing department, but just in case I put DVDLog on a summer hiatus yesterday and about the only thing I’m capable of at the moment are the daily postings over on the Photography Blog. And of course, on the hottest day of the year, a new version of WordPress comes out and I have to upgrade all the websites… but only after I’ve recovered a bit. This posting is basically just there to say I’m still alive and while not kicking bottom, at least I’m somewhat present. I have some fresh plans and ideas and as soon as I get my groove back, I’ll start working on the websites again.